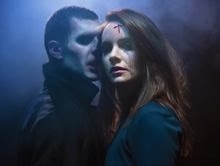 Get yourself in the mood for Halloween this evening by going to see a dance version of Dracula @ Wilton’s Music Hall. The show starts at 7.30pm and tickets are £25. Don’t worry if you can’t make it tonight the show is on until 2nd November.